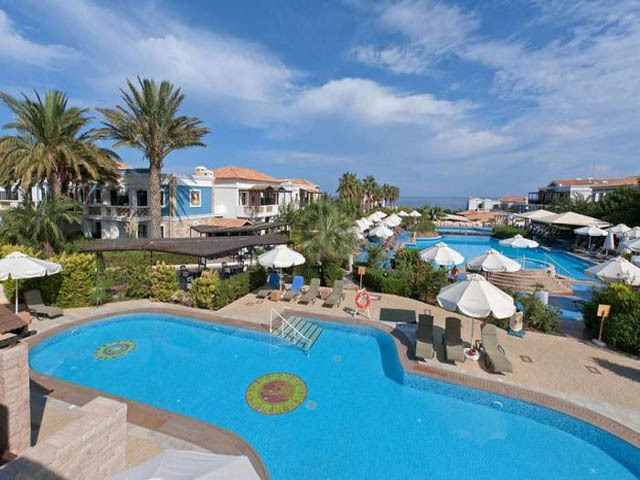 Atlantica Sensatori Resort is a brand new resort built in true neoclassical style using traditional hand-cut stone, temper, marble, imagination and authentic colors through out. A wonderful combination of Mediterranean sunshine and sunset painted with the blue and the gold of the nature accompanied by the sound of the waves. Explore the unique sensations against the background of the Cretan sea. Romantic atmosphere with top quality service. Luxury accommodation will satisfy any preferences. 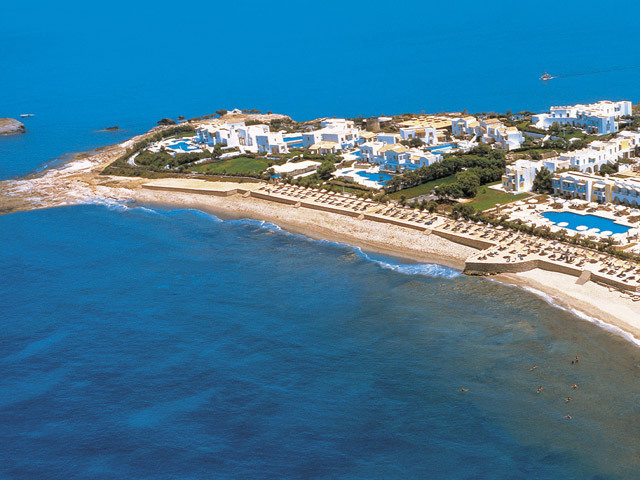 Atlantica Sensatori Resort is located directly on the beautiful beach of Analypsis, 21 km from Heraklion. The destination has made an engagement between its old charm with modern hotels and tavernas. 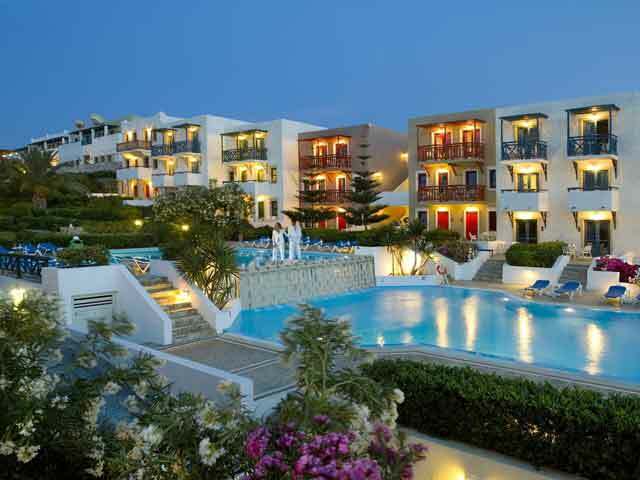 Next to the small village of Analypsis you will find the cosmopolitan town of Hersonissos. Hersonissos is considered as the most developed tourist resort of Crete due to the high range of service and attractions and is able to fulfill all the expectations. 370 rooms, comfortable and spacious standard rooms, family rooms and family suites. All 3 room types are also available as ‘swim up’ rooms(with sea view) or, as private pool rooms (with sea view). 'swim-up' & sea view or private pool & sea view available. balcony or terrace with sea view or 'swim-up' & sea view. balcony or terrace with garden view, 'swim-up' & sea view or private pool & sea view available. The Atlantica Sensatori Resort has been created to feed all your senses. 5 stunning pools are wrapping around the entire resort (one adults pool, separated children’s pool, heated whirlpools as well as waterfalls and fountains). Challenge yourself in the World of Sports (Reebok International soccer school, volleyball, tennis, archery, basketball, hiking, kayaking, scuba diving and mountain biking). Pamper yourself in one of the largest Spas in Greece, a real heaven of relaxation. A paradise of facilities for children includes Play House, kids clubs and mini cinema. And when the sun goes down enjoy the glitzy shows, live bands or laid-back piano sessions. 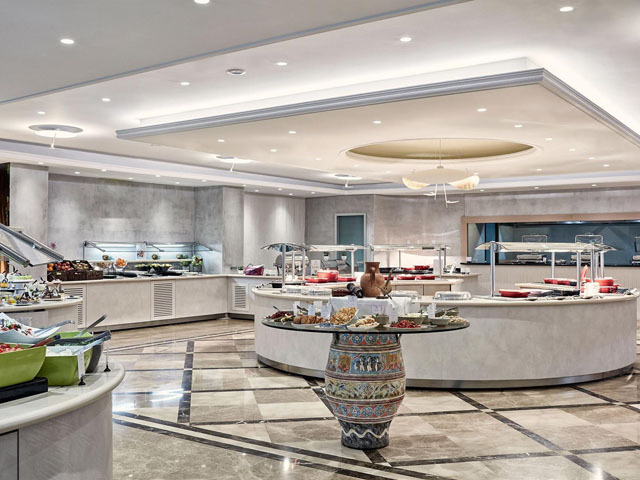 Main restaurant buffet style for breakfast and dinner. Gourmet restaurant creations of Mediterranean gastronomy. Gourmet restaurant for exotic taste. Lunch restaurant with delicious snacks and tastes from the grill. Beach bar restaurant with Variety of flavors and unforgettable maritime. All bars serve alcoholic and non alcoholic drinks, coffees and ice creams.